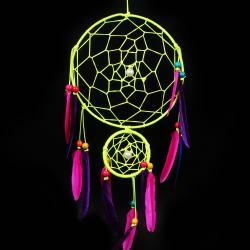 Product Consists : White and Black Color Double Ring Dream Catcher. 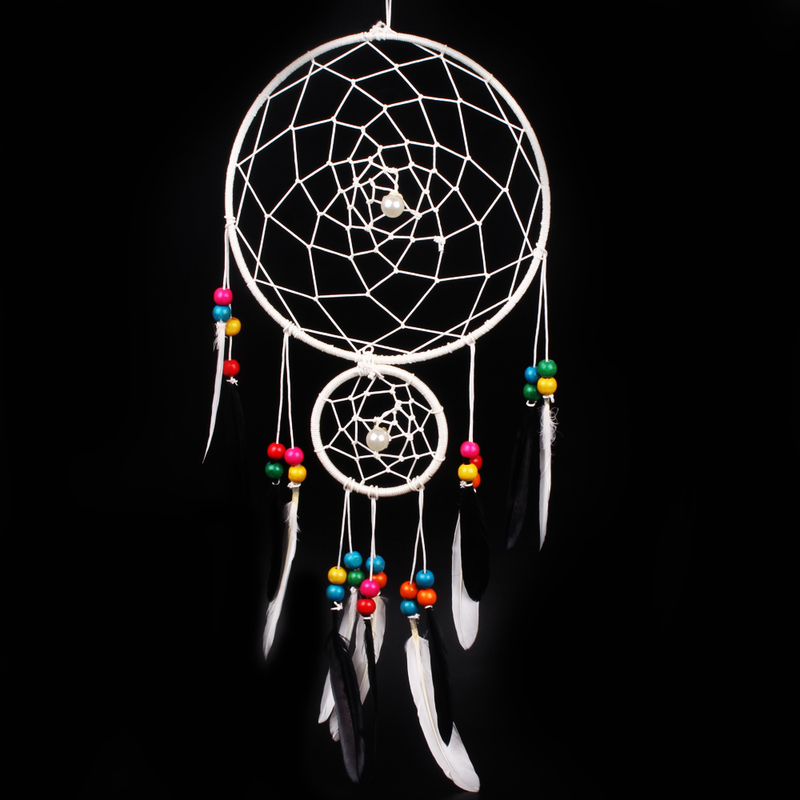 White and Black Color Double Ring Dream Catcher is much more than just a simple gift, it tells the person you give it to that you care about their well being and peace of mind. 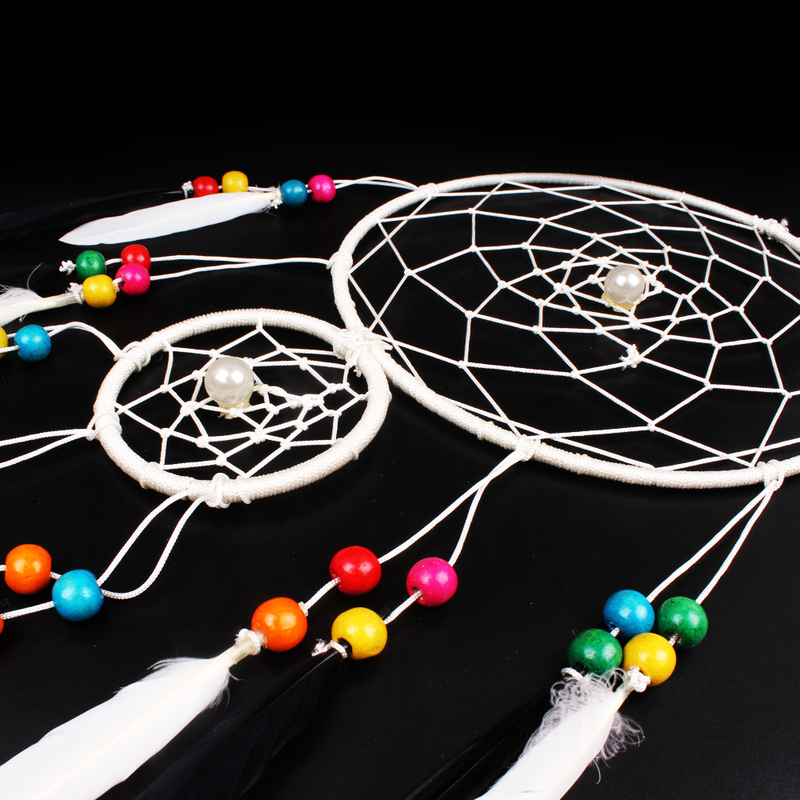 This is one of our most sought after dream catchers, you can choose both the color black and white combination of a single pearl bead and some colorful beads on a feather you wish to have in the webbing. 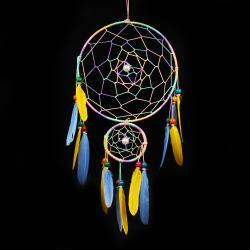 The traditional dream catcher was intended to protect the sleeping individual from negative dreams, letting positive dreams through. 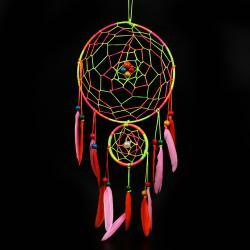 It is also a very beautiful and thoughtful item to gift your loved ones. 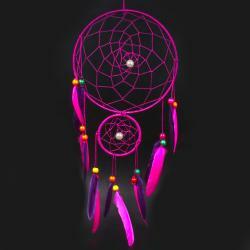 Product Consists : White and Black Color Double Ring Dream Catcher.